Are You PCI Compliant? It’s Mandatory. Since 2005, there have been more than one billion stolen records in over 2,000 separate incidents. In most cases, thieves were seeking payment card data. Clearly, it is imperative that businesses do all they can to protect their merchant credit card processing and payment systems from fraud. If you think your business is too small for thieves to target, think again. Small businesses are now seen as easy targets. A Visa analysis has found that small merchants accounted for more than 80 percent of data security breaches. A breach can cost over $200 per compromised record, and can expose your business to chargebacks, fines from banks, or regulators and loss of your customers’ trust. PCI DSS — or the Payment Card Industry Data Security Standard (PCI DSS) — was created by the major credit card companies to prevent fraud. This standard has been around for several years and it works. Between 2005 and 2011, only four percent of all breached organizations were PCI compliant at the time of their data breach, proving that those businesses that take steps to become compliant do prevent fraud. 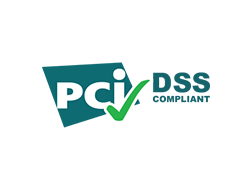 The object of becoming compliant with PCI security standards is to help protect sensitive cardholder data from thieves. If your business fails to become PCI compliant, you could be putting your business at greater risk from the growing threat of payment card data breaches and theft, which may result in substantial penalties (such as fines from banks, regulatory agencies, and card organizations), fraud, and chargebacks, as well as legal costs and lost customers. Additionally, if you fail to become PCI DSS compliant or to report your PCI DSS-compliant status via a third-party vendor to your merchant processing services provider, you may also be charged a monthly fee until you do so. 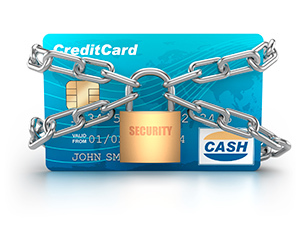 If your business experiences a data security breach, you could even lose your ability to process credit card payments. Perhaps more importantly, you risk the loss of customers. Research shows that 43 percent of customers who have been victims of fraud stop doing business with the merchant where the fraud occurred. Depending on the complexity of your network, you could be done in less than 30 minutes.